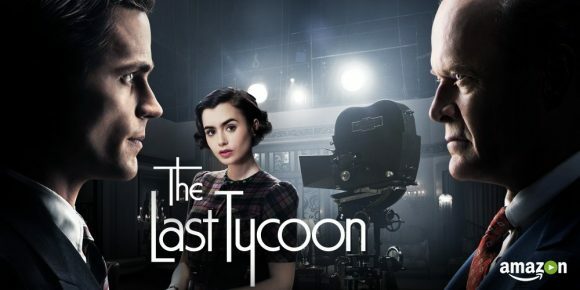 ➢ “Featuring Kelsey Grammer, Matt Bomer and Jennifer Beals doing some of their best work, The Last Tycoon wraps its most unforgiving truths in expensive satin and drapes them in softly lit diamonds. At its best, the series recalls the melancholy elegance of some of the best films of the 1930s, which is when this story is set. The drama chronicles the desperation that seeps into every corner of Brady American Pictures, a film studio trying to survive the Depression as well as creative infighting, oafish bankers and dissatisfied employees.” — Variety. ➢ “The series is surprisingly upfront about the darker side of the movie business in the era, contrasting gorgeous period costumes and a grimy Hooverville next to the studio. It’s both a love letter to the age of Fred Astaire and Ginger Rogers and a (somewhat gentle) critique of the industry, touching on Nazi censorship, union suppression, sexual harassment and other shady dealings necessary to get the sparkly pictures made. Tycoon, of course, levels this criticism while showcasing the starlets, painted sets and musical numbers that defined filmmaking at the time, but it pays more than lip service to the problems.” — USA Today. ➢ “Tycoon, like Amazon’s less entertaining but equally glamour-glutted Zelda Fitzgerald drama Z: The Beginning of Everything, is a diverting series that uses history the way revelers at a Gatsby-themed party today use a strand of fake pearls. Tycoon tosses it on as a way to show that the past was different but also fun! … It’s a missed opportunity. One that, after a gorgeous 10 hours, you may not remember.” — Time. ➢ “The Last Tycoon is certainly meticulous — the period costumes, the hairdos, the historical references. Yet attention to detail doesn’t buy passion, either in romance or in recreating the tumult of the 1930s. The show looks great, as do the people in it, but caring about any of them doesn’t come easily … Admirable care went into the costumes and settings; the script, not so much.” — New York Times. ➢ “The writing feels (and sounds) like it wants to mimic the era without showing an ounce of believability, even though several fine actors do their best with the material. The overall effect is superficial rather than immersive, and there’s rarely a moment when you’re not hyper-aware that you’re watching actors act like they’re in a period piece, spouting dialogue that sounds like it’s rehashing conversations from past movies.” — The Hollywood Reporter.